In a recent piece for GQ, writer Wells Tower attempts to answer a simple question with a story that's as long as it is powerful: "Who wants to shoot an elephant?" As it were, that's not actually the question Tower ends up asking; it's pretty easy to find the people who want to shoot elephants, as the journalist did in order to write his story. What Tower really gets at is why anyone would want to shoot an elephant, or how people think they can justify it. Try as they might, they can't. [And] counterintuitively, even in the presence of an active bullet-tourism industry, Botswana's elephant population has multiplied twentyfold, from a low point of 8,000 in 1960 to more than 154,000 today. These healthy numbers ... mirror elephant populations in other African countries where hunting is allowed. ... Kenya, on the other hand, banned elephant hunting in 1973 and has seen its elephant population decimated, from 167,000 to 27,000 or so in 2013. Some experts predict that elephants will be extinct in Kenya within a decade. There is a confused correlation going on here, which Tower himself points out: legalized hunting incentivizes tourism, and that tourism brings money and jobs into the communities near elephant habitats. "When locals' livelihoods are bound to the survival of the elephants," Tower writes, "they're less likely to tolerate poachers, or to summarily shoot animals that wander into their crop fields." But it doesn't have to be hunting that monetizes the elephants for local residents: other, non-lethal forms of ecotourism could bring in solid cash-flow as well. Those with vested interests in legalized hunting -- like the Waldrips' guide, Jeff Rann -- would argue that poachers can and will circumvent photo-safaris and other ecotourism concessions, as they have in Kenya. 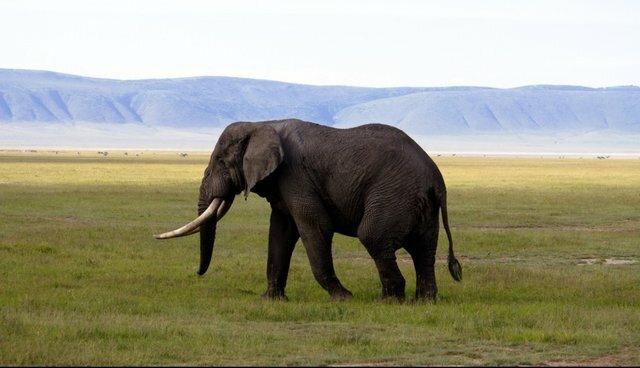 But poaching is not an inevitability; all it takes is "some combination of public policy, private money, and anti-ivory market pressures" to "render hunting obsolete as a conservation instrument," Tower points out. It's easier said than done, certainly -- but if we know that making elephants valuable to communities is necessary, and we know how to monetize them in a non-lethal way, then there is no excuse for trophy hunting. Alternative tourism ventures, such as Thailand's Elephant Nature Park, have proven hugely successful at protecting elephant populations without killing relying on blood money. It's not a form of conservation. It's a cop-out that allows those wealthy and willing enough to participate to pay for the right to poach.